Es wird bestätigt, dass "JAVA" eine eingetragene Marke von Oracle America, Inc. ist. A new powerful collection library saves us from source.stream().really("? ").collect(sink()) pipelines. The functional For is an expression that yields a value. The result is a lazy evaluated collection of elements. Vavr and Java are fully interoperable. Structural pattern matching is an easy way to decompose values. The result is ... a value! The Try monad represents the result state of a computation which may be a Success or a Failure. Java's Optional is not Serializable. We use Vavr's Option for remote operations. Check out our JSON module! Vavr core is a functional library for Java. It helps to reduce the amount of code and to increase the robustness. A first step towards functional programming is to start thinking in immutable values. Vavr provides immutable collections and the necessary functions and control structures to operate on these values. The results are beautiful and just work. The Vavr binaries can be found on Maven Central. Beside with Gradle and Maven they work also standalone. The documentation gives an overview and covers the concepts in depth. It is the best way to get started with Vavr. The Javadoc can be browsed online. Vavr is open source and can be found on Github. It is distributed under the Apache 2.0 License. There are several additional modules that group around Vavr's core. All of these are supported by the Vavr open source organization. Adds compile time support for Vavr's structural pattern matching feature. A property check framework for random testing of program properties. Jackson datatype module, the standard JSON library for Java. Gson datatype module for Vavr. A rendering library, currently housing tree renderers (ascii and graphviz). 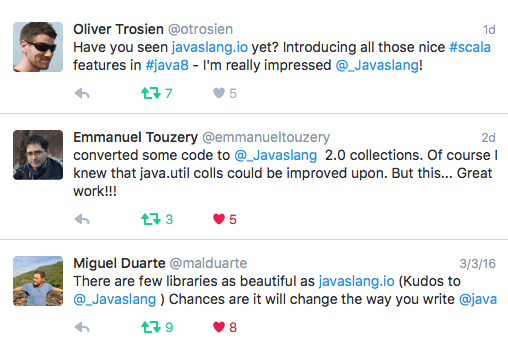 Thank you for using Vavr! IntelliJ IDEA is our preferred IDE to develop Vavr. JetBrains supports open source projects with its products and makes professional software development a more productive and enjoyable experience. StickersCraft does a great durable and high quality stickers that never fade nor tear off. They craft stickers with passion. Their main customers come from IT background where there is no compromise for manufacturing quality and speed. TouK uses and supports Vavr library by promoting it on conferences and helping with graphic design and production of promotional materials.  TouK is a software house that leverages functional programming providing custom software where correctness, reliability, and scalability are top requirements. Vavr is using YourKit Java Profiler to analyze the runtime behavior. YourKit supports open source projects with its full-featured Java Profiler. YourKit, LLC is the creator of YourKit Java Profiler and YourKit .NET Profiler, innovative and intelligent tools for profiling Java and .NET applications.